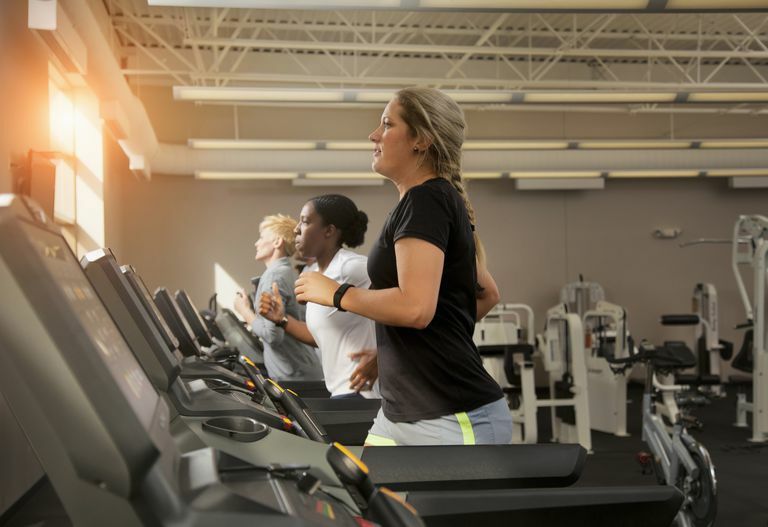 Whether it’s unfavorable weather, busy schedules, or other circumstances that force you on the treadmill for most of your training, it’s possible to train indoors for a strong 5K performance. This 5K schedule (see below) is designed for 5K runners who will do most or all of their training on the treadmill. Even if you’re not training for a 5K, this schedule is a fun and motivating way to train through a couple of extremely hot or cold months. You should be already running about 10 miles a week in order to start this 8-week schedule. (If you're a beginner runner who wants to run a 5K that's 6 weeks away, use this 6-Week Beginner 5K Training Schedule. If you're an advanced runner, use this 4-Week Advanced 5K Training Schedule.) If you're fairly new to treadmill running, you should read tips for treadmill running. This 5K schedule includes several different workouts that will be mixed in throughout the training, to keep you from getting bored with a treadmill routine. You can move the workouts around to accommodate your personal schedule, but try not to do a long or hard workout 2 days in a row. Hill repeats: Hill workouts are simple to plan on the treadmill because you can control exactly how steep and far your hills are. Even if you’re going to be racing a flat 5K, you’ll benefit from hill training workouts, since they help build strength, speed, and confidence. To do a hill repeat workout, after a warm-up, increase your incline for the designated amount of time and then recover for the indicated interval. Repeat the hills/recoveries for the indicated amount. Sprint intervals: Start with a 5-minute walk or easy jog. Pick up the pace to a hard effort (heavy breathing) for 30 seconds. Recover with 90 seconds of easy jogging. Repeat the sprint/recovery intervals for the designated amount (8x, 9x, etc.) Finish with a 5-minute cooldown at an easy pace—easy jog or brisk walk. Have a towel handy for these workouts, since you'll probably start sweating fairly quickly! Pyramid workouts: After a 5-minute warm-up, run at your goal 5K race pace for 1 minute, recover 1 minute; run hard 2 minutes, recover 2 minutes; run hard 3 minutes, recover 3 minutes, until you reach the “top” of the pyramid. Then work your way back down the "pyramid" and run hard 3 minutes, recover 3 minutes, etc. End the workout with a 5-minute cooldown. Long Runs (LR) and Easy Pace (EP) Runs: You're not training for a long distance event, but long runs and easy pace runs will help you develop your stamina, which is important in 5K racing. You should do your long runs and easy pace runs at a comfortable, conversational pace. You should be able to breathe easily and speak in complete sentences. If you’re breathing hard, you’re running too fast. Slow it down, or take a walk break. Cross-training (CT): Cross-training (CT) can be any activity (other than running) that you enjoy, such as biking, swimming, elliptical trainer, strength training, yoga, etc. Cross-training days are key for treadmill runners because they help break up the monotony of indoor running. Even if you love running on the treadmill, you’ll eventually want to mix up your weekly schedule with some other activities. Strength-training has many benefits for runners and is an excellent cross-training option. Aim to do at least one day of strength-training per week; 2 days per week is even better. Your strengthening workout doesn’t have to be too intense and can be done without weights or machines, as in this sample workout that you can do while watching TV. Even if you do just 10 minutes of strength training twice a week, you'll start to notice a difference in your running. Rest Days: On rest days, you can take the day off or do some easy cross-training (CT). Whether this is your first 5K race or you're a racing veteran, it's important to be thinking about and prepping for your race in the days leading up to it. Get tips on what to do in the days before your 5K race and find out how to avoid 5K racing mistakes. One thing to keep in mind about treadmill training for an outdoor race is that your treadmill running attire may not be suitable for the weather conditions on race day. For example, if you've been training indoors wearing shorts and tank tops during a cold winter, you may need to wear different clothes for your race. The "nothing new on race day" advice applies here. Make sure that you test out your race outfit during at least one training run before your race, so you don't have any surprises (chafing, wardrobe malfunction, etc.) during the race. Training for a race on a treadmill can be tough mentally, but it also presents some physical challenges for road racing. Compared to outdoor running, running on a treadmill feels somewhat easier physically because the ground is being pulled underneath your feet and there's no wind resistance. Running outside demands more from your body because you're propelling your body forward stride for stride. On a treadmill, the smaller stabilizer muscles in your lower legs don't have to work as hard. Some runners find that they experience calf muscle pain, shin splints, Achilles tendonitis, and other issues when they run outside after exclusively running on a treadmill for months. If you’re doing the majority of your training on a treadmill, you should be cautious once you get back to running outdoors on a regular basis. You should be fine to run your 5K race on the roads, but don’t make a drastic switch to running outside exclusively. Start with some short runs on the road once or twice a week before you start running outside all the time. Be sure to stretch, especially your calves, after running.